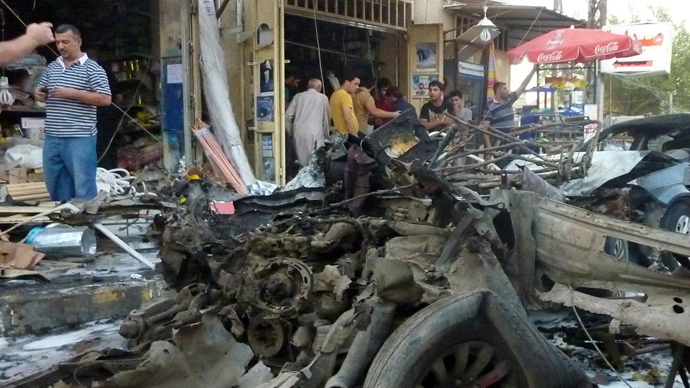 Nearly 60 people have been killed and dozens injured in a series of car bombings across Baghdad. 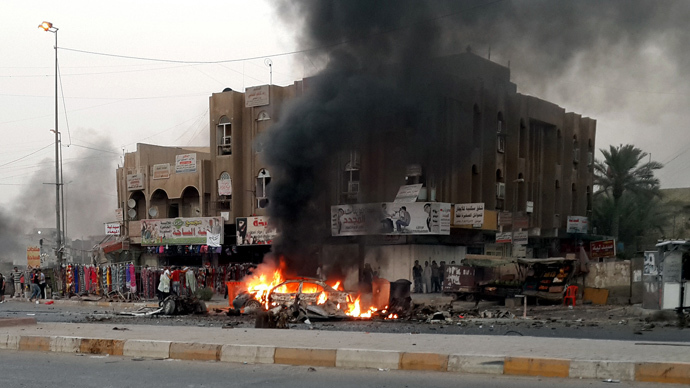 The blasts, which took place in predominantly Shiite districts, are the latest in a surge of violence in Iraq. At least 14 cars exploded across the city on Tuesday, RT Arabic correspondent Ashraf al-Azzawi reported. The deadliest explosion took place on a busy street in the northern Talbiya neighborhood, killing nine people. Two other car bombs exploded in the Hussainiya district in the north of the capital, killing 10 people. "I saw a fireball and a huge cloud of smoke. We couldn't approach immediately fearing a second bomb, but we could hear the screams of people asking for help," Ali Jameel, a policeman in a patrol stationed in Hussainiya, told Reuters. Car bombs also exploded near a police station in the western neighborhood of Sadiyah, killing six and wounding 15 others. Police confirmed that another blast at a central square in the commercial district of Karradah killed six people and wounded 14 others. Another attack targeted the house of a member of a Sunni organization known as the Sahwa militia – a security force opposed to Al-Qaeda. Gunmen stormed his home in a southern suburb of the capital, according to police and hospital officials. 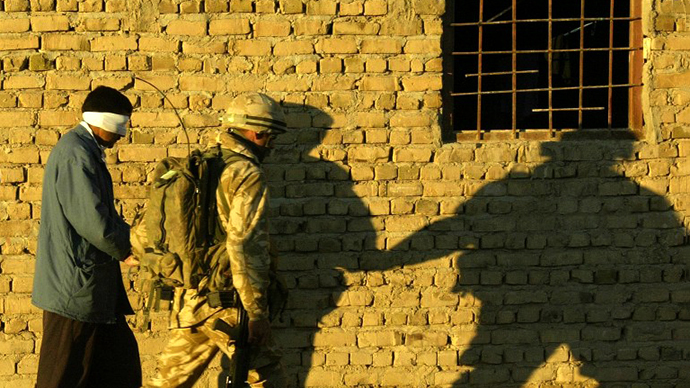 Members of the Sahwa militia aided US troops in the fight against Al-Qaeda in the Iraq war and have since been targeted by insurgents blaming the organization for treason. Two people were also shot dead in Baghdad's southern Dora neighborhood. 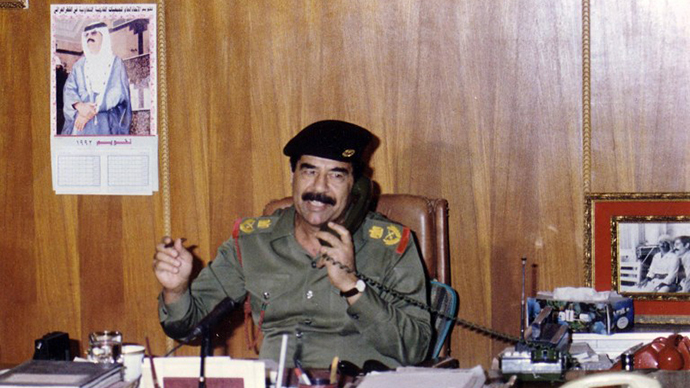 Another four bodies with gunshot wounds were found across the Iraqi capital, officials said. The attacks were reportedly coordinated, although no one has yet claimed responsibility for the events. Some experts believe that the increased violence in Iraq is linked to Syria’s civil war and other conflicts in the region. 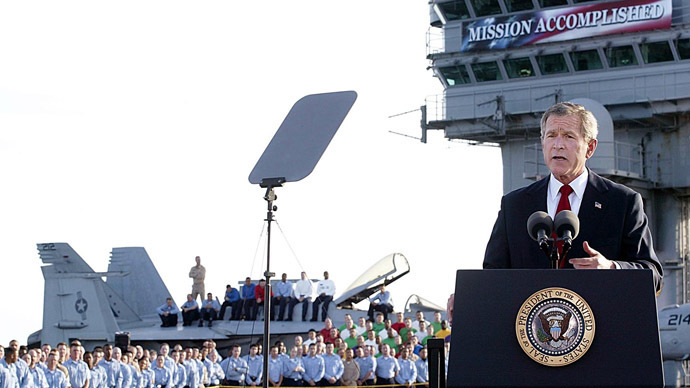 “There is a connection to the events on the ground in Syria, in Lebanon, in Egypt. And for months now, the Saudi government was pouring money into Sunni insurgents who were a major part of the violence and terrorism going on in Iraq,” Jeff Steinberg of the Executive Intelligence Review Magazine told RT. The country is currently engulfed in the worst wave of violence in five years, as Shiite, Sunni, and ethnic Kurdish factions continue to divide the country. Elsewhere in Iraq Tuesday, gunmen shot and killed Sunni cleric Abdul-Karim Mustafa near the al-Taqwa mosque in the southern city of Basra. A car bomb exploded at a restaurant in the town of Jbala, killing two people and wounded seven others. According to UN estimates, more than 4,000 people have been killed over the past five months – 800 of those deaths took occurred in the month of August.